Building relationships with faculty outside of the classroom is an important part of being an engaged student and having positive classroom and overall college experiences. The Peirce faculty is composed of skilled and involved individuals who are eager to share their career and workforce knowledge. The faculty members value the opportunity to connect with students on their experience and guide them along with their career goals and aspirations. Unfortunately, sometimes, the letters that follow your professor’s name on the syllabus are the most students know about our faculty members’ educational, credential and networking history. In this month’s Health Programs blog series, we dig a bit deeper into Peirce’s healthcare faculty members’ professional backgrounds, so you can feel more connected to your current or upcoming professor and know who to go to when you are seeking career advice, networking opportunities or educational next steps. 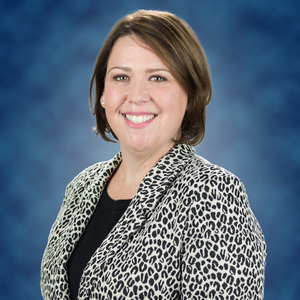 To start, my name is Dr. Stephanie Donovan and I am an Associate Professor and the Faculty Chair of the Health Programs division at Peirce College. I completed my doctorate degree in Higher Education Leadership from Delaware Valley University, earned my MBA from LaSalle University and undergraduate degrees in Health Information Technology (HIT) and Health Information Administration (HIA) from Gwynedd-Mercy University (College). After completing the HIT program, I sat for the Registered Health Information Technician (RHIT®) exam and after completing the HIA program I took the Registered Health Information Administrator (RHIA®) exam. I have held volunteer positions at the local, state and national levels of the American Health Information Management Association (AHIMA) including president of the Lehigh Valley Health Information Management Association (LVHIMA), state advocacy coordinator for Pennsylvania Health Information Management Association (PHIMA) and member of AHIMAs Council for Excellence in Education. I am currently a community member of Einstein’s Institutional Review Board (IRB). To contact me, Dr. Donovan, please email sadonovan@peirce.edu. 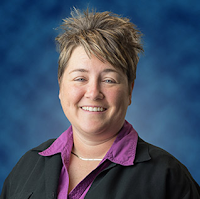 Professor Jamie Loggains, Assistant Professor, returns to school this fall as a student in Maryville University’s Doctor of Education in Higher Education Leadership program. 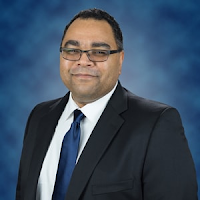 Professor Loggains currently holds the Registered Health Information Technician (RHIT®) credential through the American Health Information Management Association (AHIMA) and the Certified Professional Coder (CPC®) credential through the American Academy of Professional Coders (AAPC). 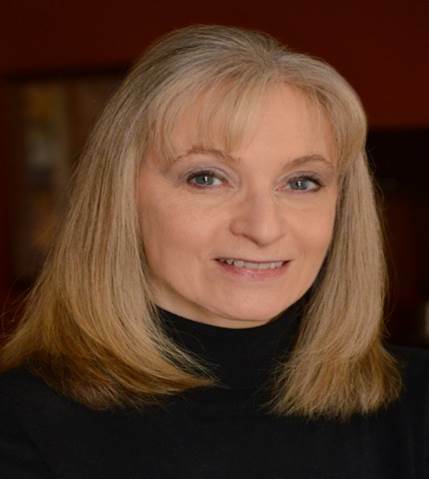 She is the current Member Development Officer for the local Yardley/Levittown AAPC chapter. Professor Loggains expertise is in medical coding and billing. Students pursuing the Certificate of Proficiency in Medical Coding or associate degree in Health Information Technology should consider connecting with Professor Loggains, especially those exploring medical coding certifications. To contact Professor Loggains, please email jmloggains@peirce.edu. Professor Todd Nickelsberg, Assistant Professor, also returns to the classroom this fall as a student in Rowan University’s Doctor of Education in Higher Educational Leadership program and holds a Master of Health Administration with a concentration in Health Informatics from Saint Joseph’s University. In addition to teaching at Peirce College, Professor Nickelsberg is a clinical consultant for the City of Philadelphia Dept. of Behavioral Health and performs clinical audits at providers that receive local, state and federal funding. Professor Nickelsberg also sits on the City of Philadelphia’s Opioid Task Force as a subcommittee member. He is also an active member of the Healthcare Leadership Network of Delaware Valley through the American College of Healthcare Executives (ACHE), as well as the Metropolitan Philadelphia Chapter of Healthcare Financial Management Association (HFMA). To contact Professor Nickelsberg, please email tnickelsberg@peirce.edu. Professor Jackie Penrod, Associate Professor, holds a Juris Doctor degree and a Master of Business Administration, both from Temple University. She also earned her undergraduate bachelor’s degree in Marketing from the Indiana University of Pennsylvania. She recently completed the Teaching in Higher Education Certificate at Temple University, where a portion of the program focused on teaching with technology. Professor Penrod is a member of the bar in Pennsylvania and New Jersey and continues to advise clients with respect to healthcare privacy and contract negotiation. She is a member of the International Association of Privacy Professionals and the American College of Healthcare Executives. To contact Professor Penrod, please email jpenrod@peirce.edu. Now that you’ve met the team, it’s time to get started learning and networking with them! Reach out to any of the professors above to learn more about Health Programs, Peirce College, careers and so much more.